There’s a reason why this week’s featured property is called 2 Much Fun – you’ll never want to come home after spending time at this amazing Soundfront cottage! At approximately 5,000-square feet, this cottage features five bedrooms and five-and-a-half bathrooms – perfect for large family vacations or reunions. You’ll find two king-size beds, two queen-size beds, two sets of bunk beds with trundles and a queen-size sleeper sofa, so there’s plenty of space for everyone. 2 Much Fun also offers a study area with wireless internet access (with a printer and fax), fully-equipped kitchen and covered/open decks on all levels. 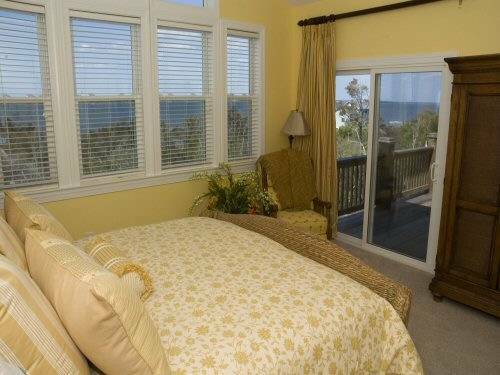 The decks boast beautiful Sound views, comfortable porch furniture, a gas grill and an enclosed hot/cold shower. Other things you might find at this cottage include eight TVs, six DVD players, DVR, stereo, four kayaks and five to six bicycles. 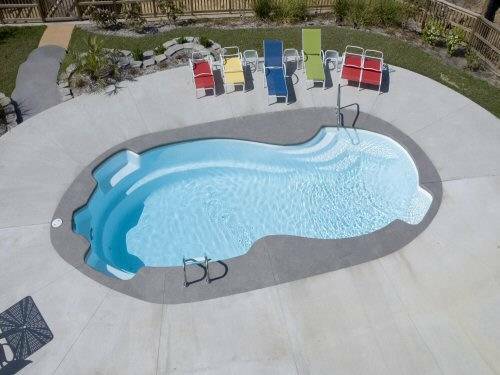 Start having 2 Much Fun and book this cottage for your next Emerald Isle vacation! Call Emerald Isle Realty at 866-615-6877 for more information. Read customer reviews below and view more photos of 2 Much Fun here. “The rental was great. The staff at the rental office was very helpful and prompt in providing service. The rental property was even better than expected. The house was beautiful and clean and had everything we needed. 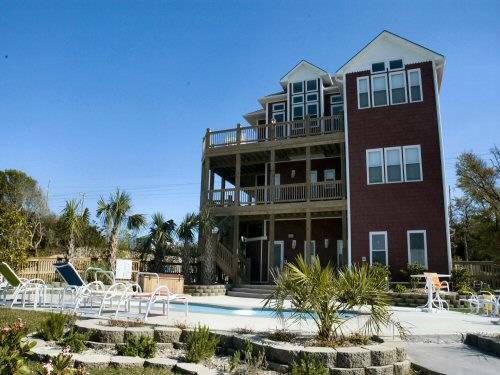 The location was on the Sound and the easy walking distance to the beach was perfect. 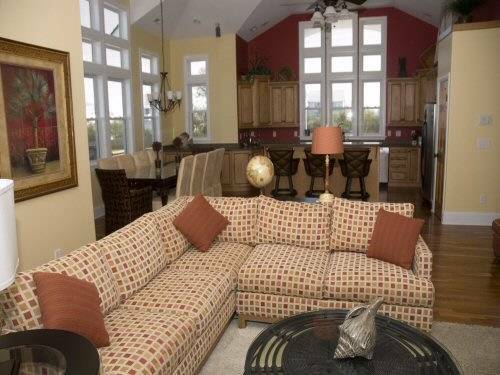 It was also well located on the island to be close to everything we needed…” – Kathy P.